Pay off the remaining consumer debt of $2,715. Very similar to my first quarter goal of paying off $3,000 in credit card debt. Pay off my remaining tax debt of $2,692. This is a goal I originally thought of putting off until the third quarter, but I might as well get an early start. Reboot my 52-week savings plan in reverse again. Basically, I want to save as much as I can this year with each quarter averaging around $600 additional in savings. Shred 3-days a week. I’m going to shoot for 3-days again. I’m smokin’ my financial goals. I’ve paid off almost the entire consumer debt amount with only $860 remaining. I’ve already boosted my mutual fund’s monthly amount by $150 per month and made a significant one-time contribution last month to meet a $5,000 goal that Mr. LH had set. I’m working on my tax debt, though I’m not as confident it will be paid off in this quarter (but definitely the next). Two goals that I’ve been lagging behind on are rebooting my 52-week savings plan in reverse. I did great the first quarter, but am really dragging my feet these last two weeks. And…the 3-day a week Shred goal. Man, I’ve been busy! That’s double talk for too darn tired to work out in the evenings after a full 10-hour work day. I’m also going to complain and say that my knees have been giving me some trouble lately that I attribute to the Shred workout, my job, and biking 3-4 days a week. Okay, and I’m also not as young as I used to be! So, how am I going to motivate myself to meet these goals? First, my 52-week savings plan needs a little boost. Starting this week, my goal is to automate the weekly deposits so I don’t have to think about it more than once a month. I’ll schedule all four/five Friday deposits at the beginning of the each month and let it take care of itself. Solution: Automation. The Shred is a little harder. I really over-did it last week and stood way too long on concrete floors. I now have the aching knees to prove it, so I think I should take it easy this week especially since next week we leave for a camping trip and I’m anticipating some hiking and biking. This means, The Shred goal will have to wait until I come back mid-April. By then, my knees should have recovered (hiking and biking aside) and I’ll be working towards a 3-day-a-week goal. If I hang pictures of what I want to achieve, that also might motivate me as well. Solution: Visual imagery. I should be looking pretty good come last June. 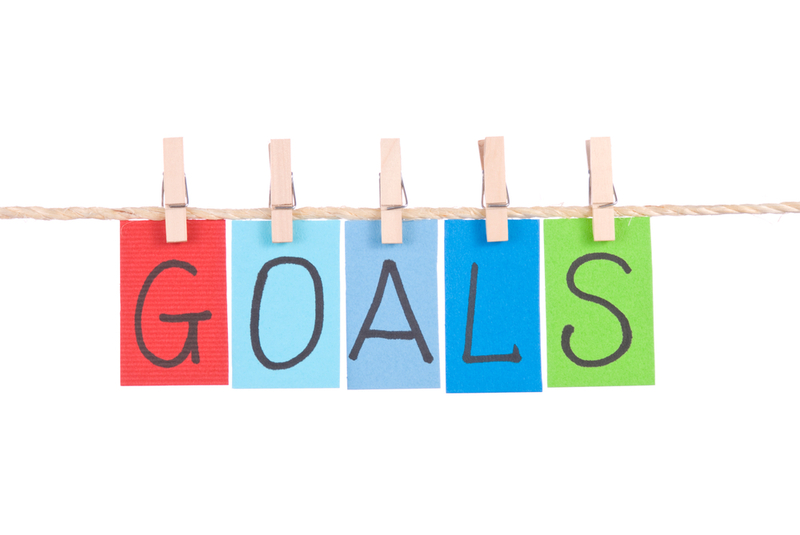 How are your goal shaping up this year? PreviousBuild a House for Under $10,000? Oh Yes You Can! I think both of your approaches to your goals are great. I’ve found automation helps a lot with my savings and when it comes to visualization, I’ve found that to help me tremendously as well. Good luck! @Jon – The automation will definitely get me back on track. Now, I just need the visual motivation to get me back to shredding! Good stuff. I have to go and check my goals. Financial I know I”m OK though probably a little behind. This rocky stock market this year isn’t doing me much good. Personal goals, I’m probably in average shape. Great goals. I find automation really helps when it comes to money too. Nice job, it looks like your monthly progress has translated into a good start to the new quarter. I’ve been setting goals and tracking/analyzing progress as well. It’s so much better than floating along!